Over the past year, we have had a fantastic response from parents to our guest blogs from the medical professionals we work with. At Mini First Aid we want to help you keep your little ones safe and healthy so rest assured that we have more of these planned! 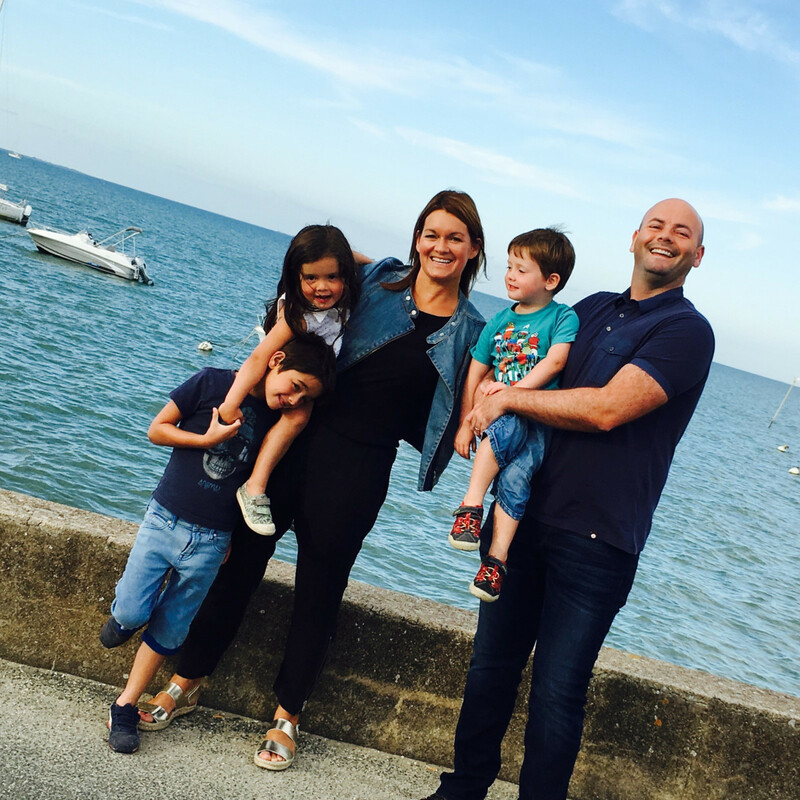 This week is a throwback to a brilliant blog chat with Dentist and super Dad of three little ones, Dr Cliff Palmer who runs Finkle Hill Dental Care. Personally, I can’t even begin to imagine family visits to the dentist when our next set of twins arrive?! Getting little ones to brush their teeth can be so stressful! Any tips? If your child doesn’t like having their teeth brushed, and it all gets a bit stressful, you could try the bug brush. Stick with it - enamel eroding plaque develops quickly. Children often grow out (and back into) mini phobias but it is important that you keep up the brushing to show how important it is. Not brushing should not be an option. How often should children brush their teeth? Brush teeth twice a day (morning – after breakfast and night – after milk). This means children form good habits from the outset and brushing becomes part of normal routines. Avoid eating or drinking for 30 minutes after brushing to allow the fluoride to take effect. Do not rinse with water after brushing as this washes the fluoride away. This is a common mistake. When can children start brushing their own teeth? When they can tie their own shoelaces. Develop your child’s skills (circular brushing motion covering every surface of every tooth) from the age of five, and usually by the age of seven your child will have mastered the art. A useful app to encourage children to brush for two minutes is the Aquafresh Brush Time App. Should you brush baby teeth as soon as they come through? Yes - as soon as they erupt, use a soft, child’s toothbrush and a smear of 1000 parts per million fluoride toothpaste. You can even clean gums with a soft cloth before the first tooth erupts. You should always use age appropriate toothpaste. Too much fluoride can be harmful too. When should you start taking your child to the dentist and how often? Start taking children to the dentist between the ages of 1 and 2 and go every six months unless your dentist tells you otherwise. This may seem a little young but the enamel on children’s teeth is much thinner than adults and more susceptible to erosion. Little teeth also have many jobs other than helping with chewing. They encourage proper speech and development of the jaw and face. 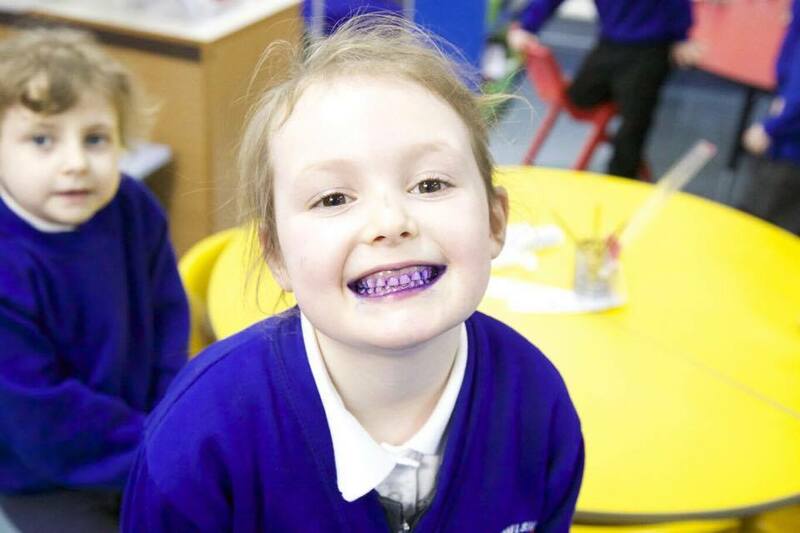 How can we help make sure children are happy to go to the dentist?! The biggest reason people tend not to go to the dentist is fear. Your fear can play an important role in your child’s own feelings towards their dentist (yes, even our own phobias make us feel like terrible parents!) Make it a positive experience and ask around for a dentist who is known for being good with children. We have worked hard to make our dental practice family-friendly. We have a Children’s Coordinator who works closely with families and our bright children’s area in the waiting room makes the whole experience more positive. We also work closely with local schools to develop good relationships with families outside of surgery. So many foods that children enjoy contain (hidden) sugar. Any advice for parents? Little children tend to snack a lot and due to the amount of hidden sugars in food today, it is important we do not (unknowingly) allow decay to develop from an early age. We recommend only four sugar ‘hits’ in one day, and these should be based around meal times, when the acid can be neutralised with other foods. So - milk or water to drink. If juice is a must; stick to mealtimes. Beware of raisins and dried fruit as these are incredibly sugary. Porridge, Weetabix or eggs for breakfast. This allows you to control the sugar amount. There are two whole hidden teaspoons of sugar in a seemingly harmless bowl of Shreddies. Snack only twice a day and try to stick to cheese, breadsticks, low sugar yoghurts, carrot and cucumber. One of the twins chipped her tooth on the bath the other day and we took her to the dentist. Was that the right thing to do? Absolutely. If your child’s tooth gets chipped, traumatised or knocked out, (s)he should see a dentist on the same day (within 24 hours). Out of hours, call the 111 emergency dental service. If it is just the tooth that’s the problem, you do NOT need to go to A and E.
Find the tooth, hold it by the crown, plug the sink and rinse in cold tap water. Put the tooth back in place OR place the tooth in a cup of milk or saline. If my child has to have a filling, how should I prepare him/her? Around one quarter of families who consider themselves to be ‘sugar aware’ will have at least one child who needs at least one filling before the age of 10. It is not usually a painful experience (we use topical anesthetic and very fine needles) but it can be traumatic all the same. Try to leave other children with a friend or relative and play it down. Your dentist is used to making children feel at ease and it is usually finished within 15 minutes. Are you looking for a flexible job that fits around your family? Mini First Aid classes brought to your workplace!